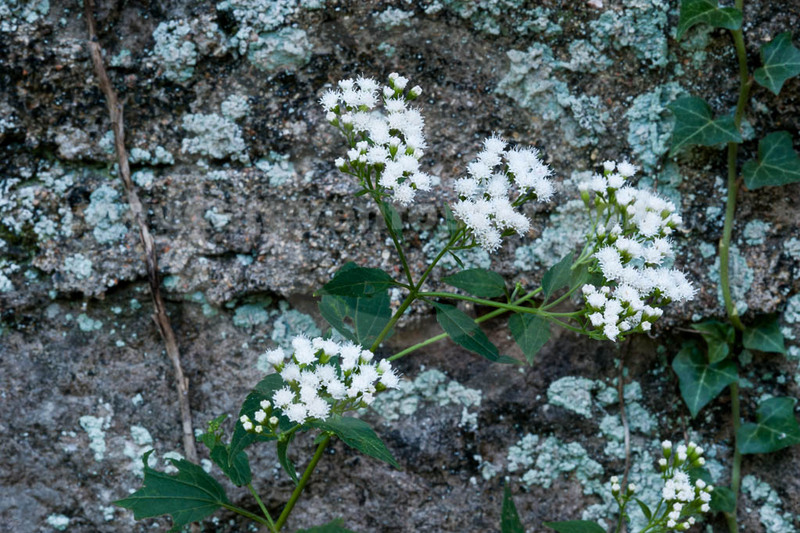 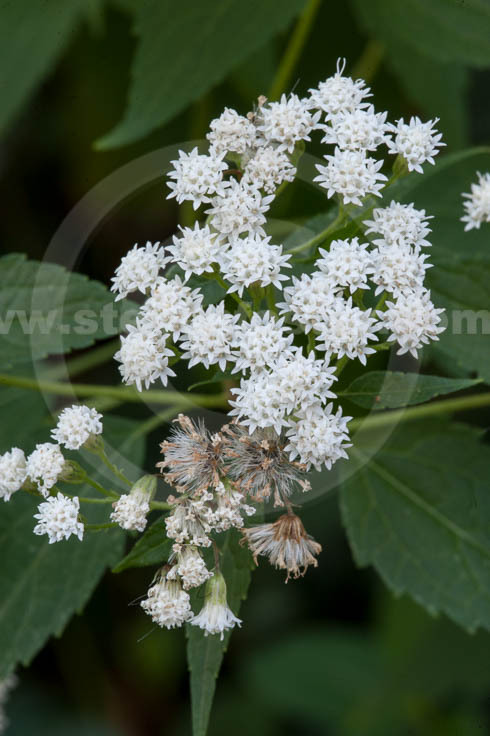 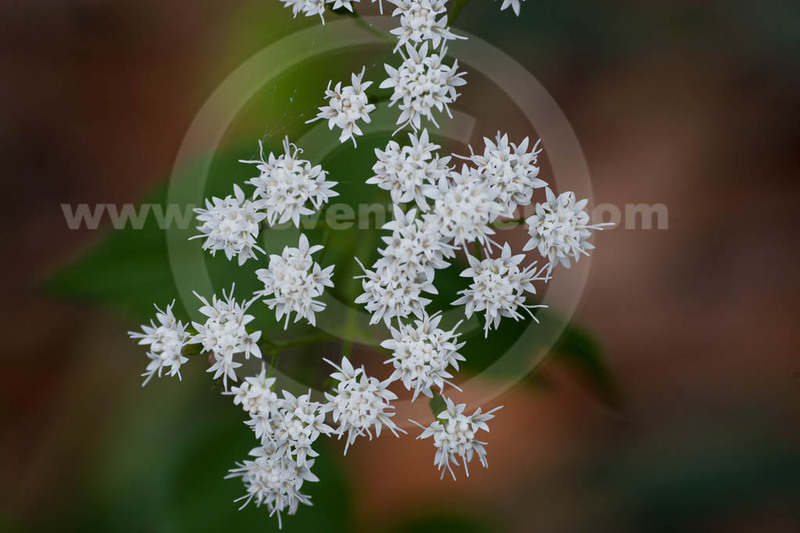 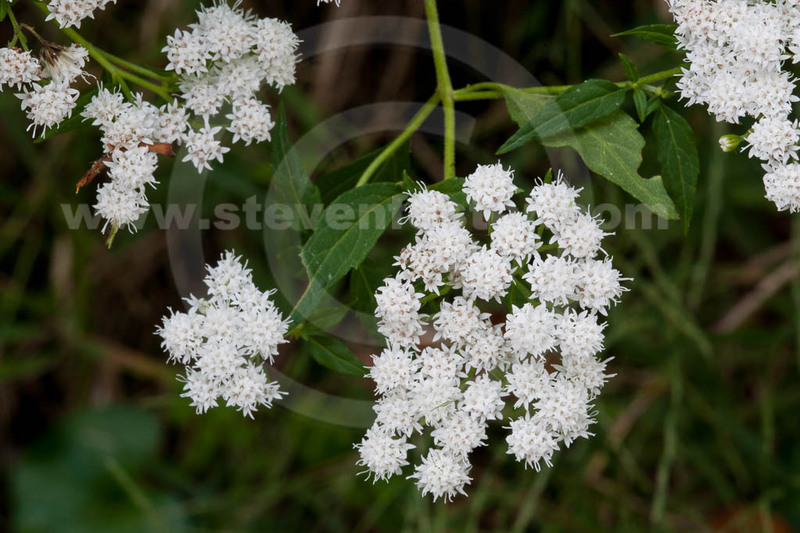 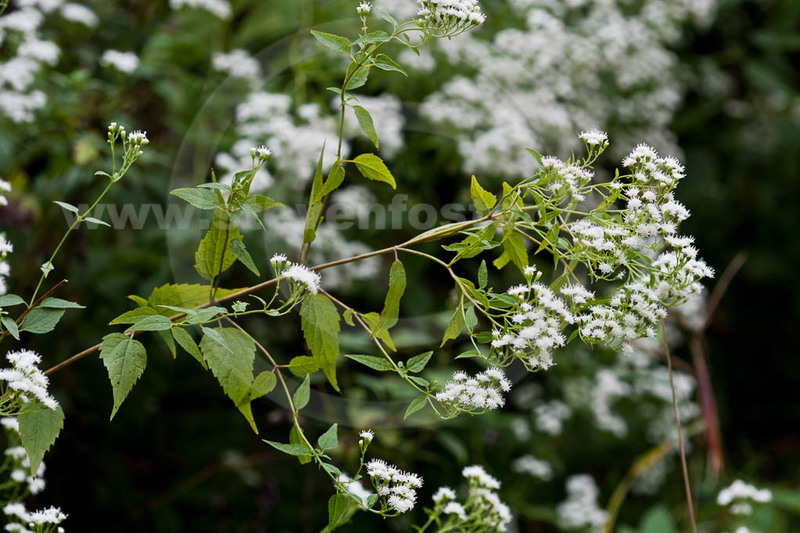 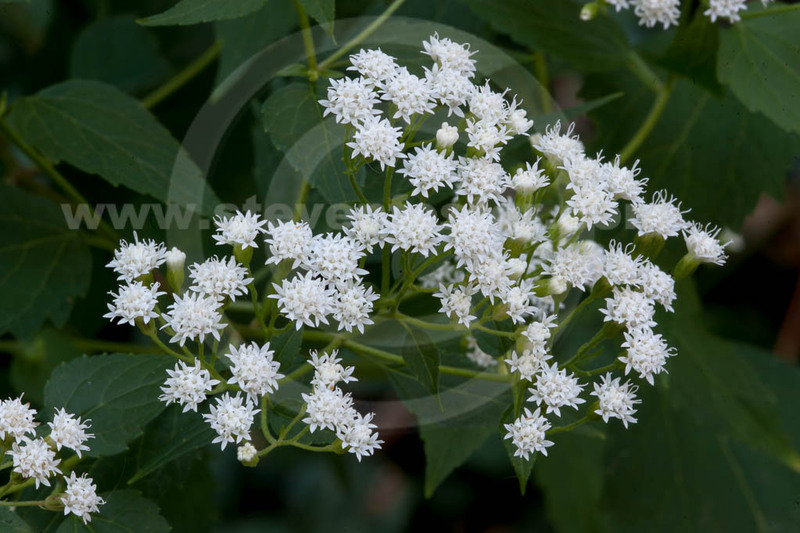 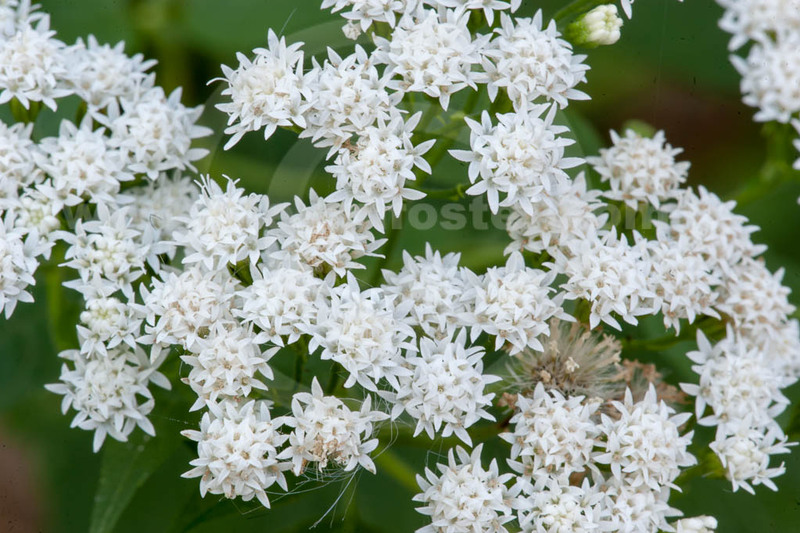 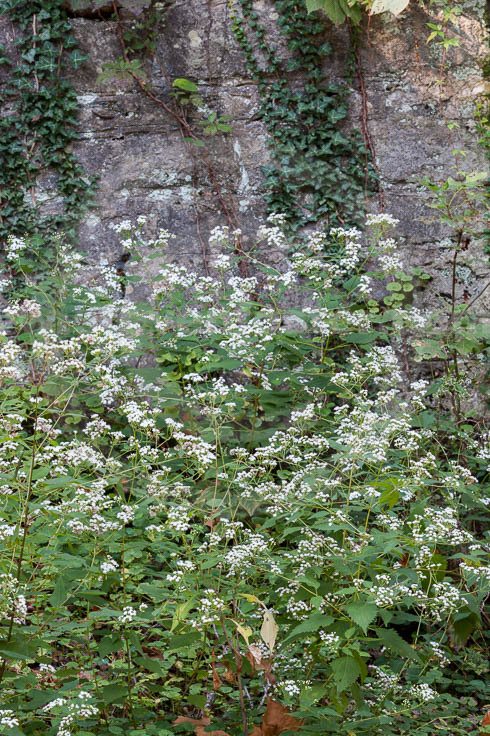 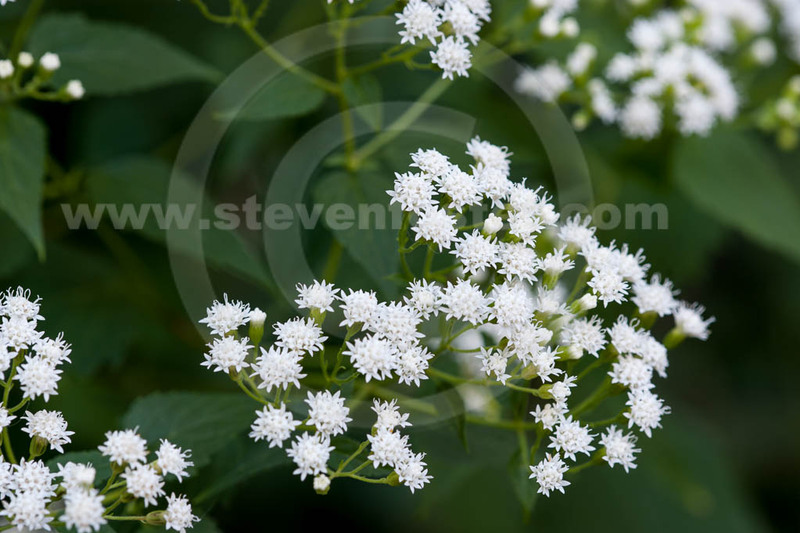 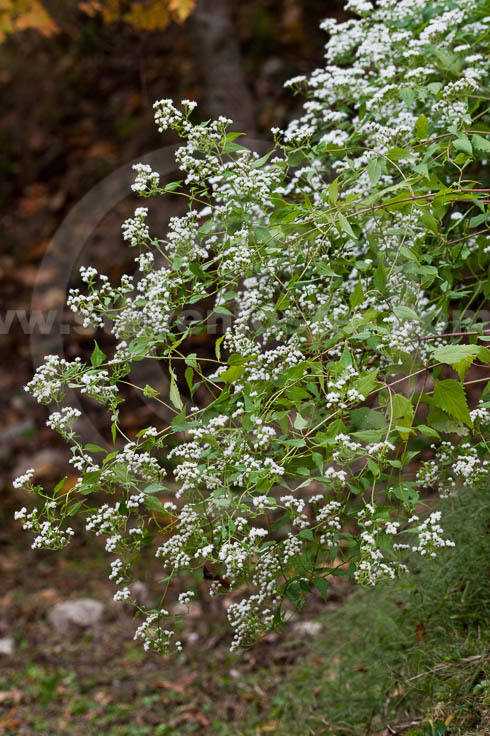 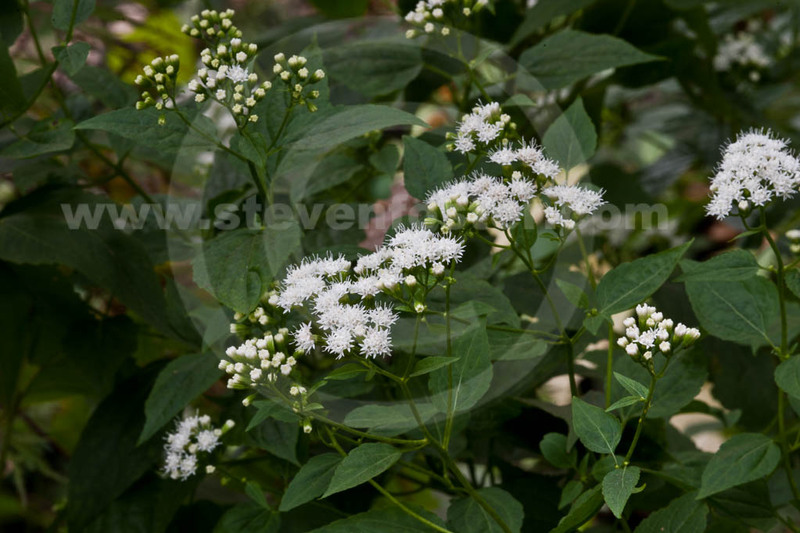 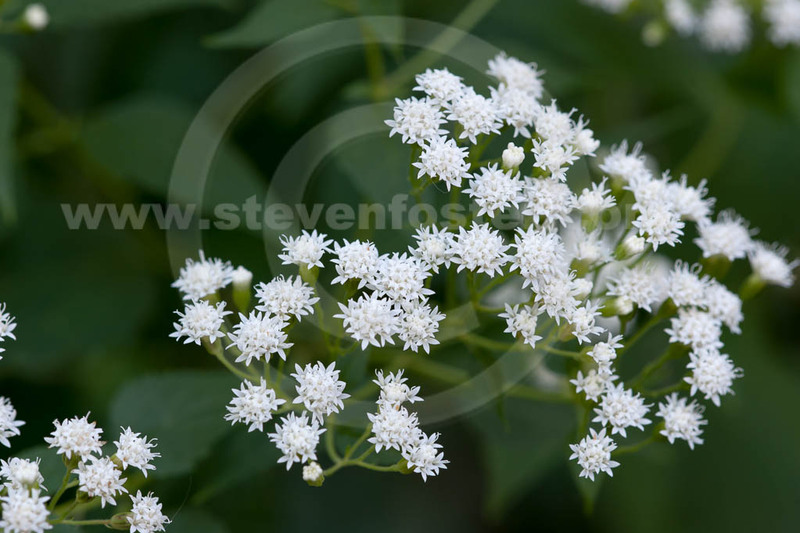 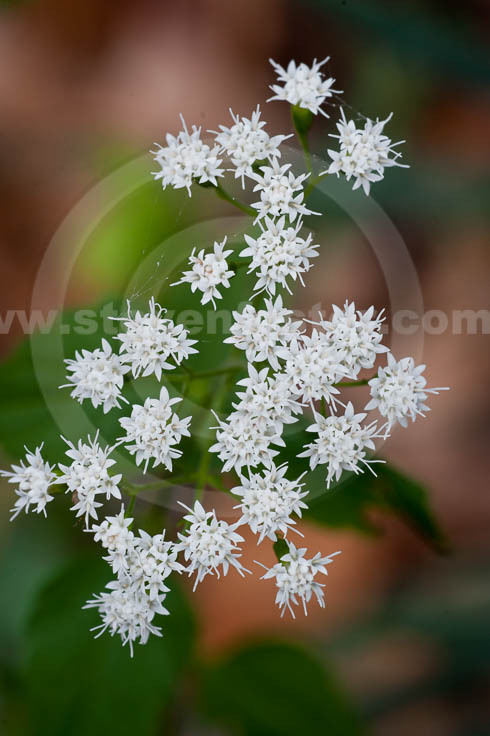 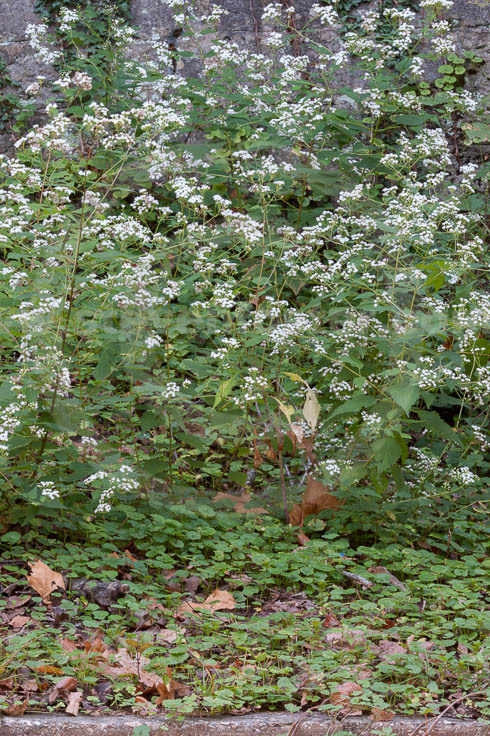 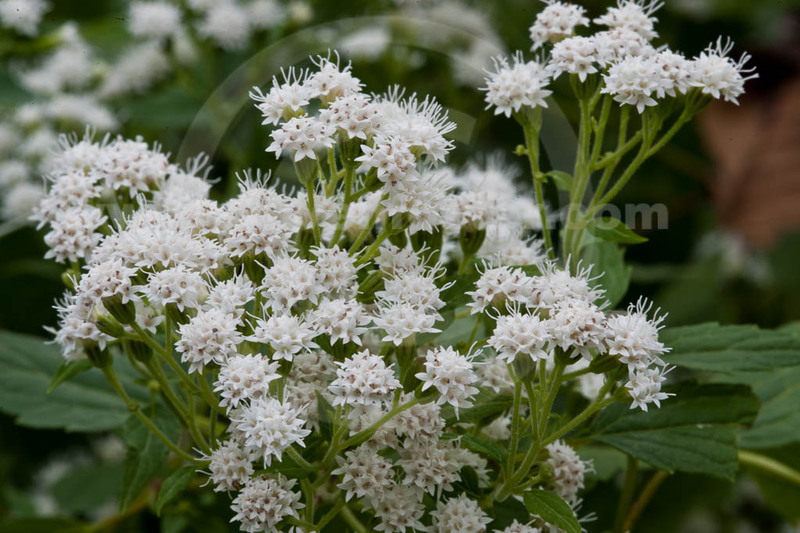 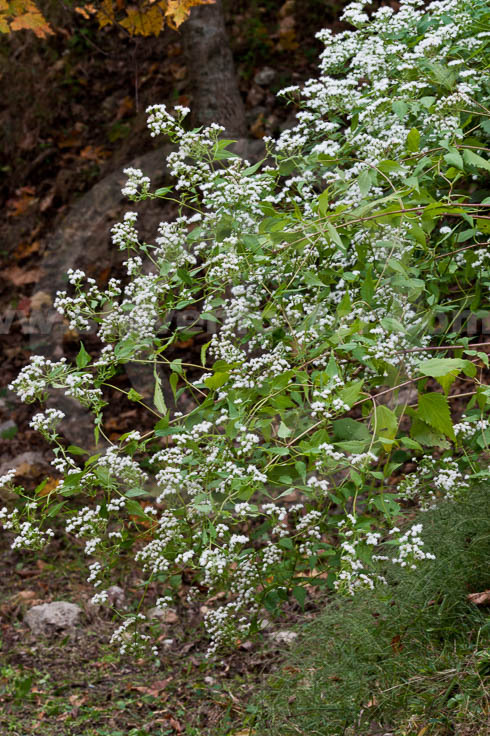 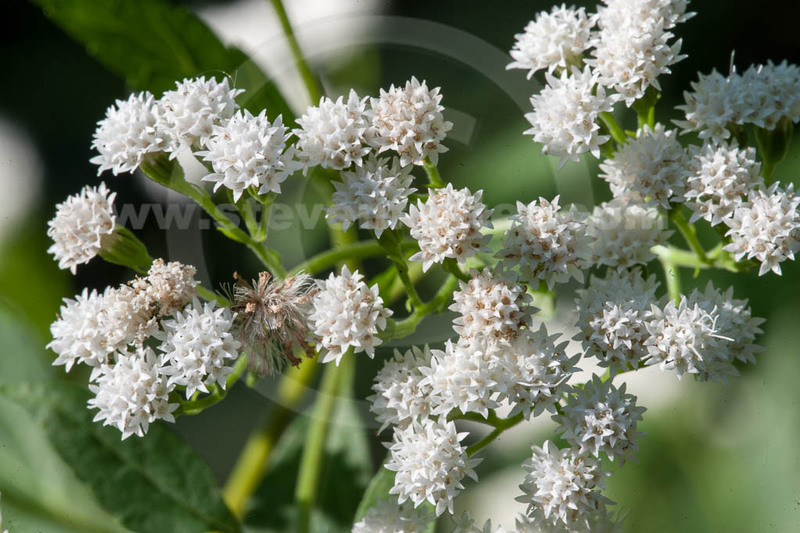 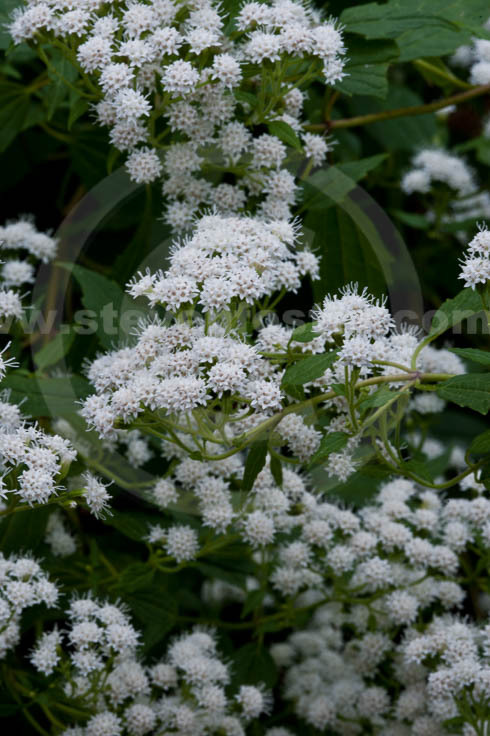 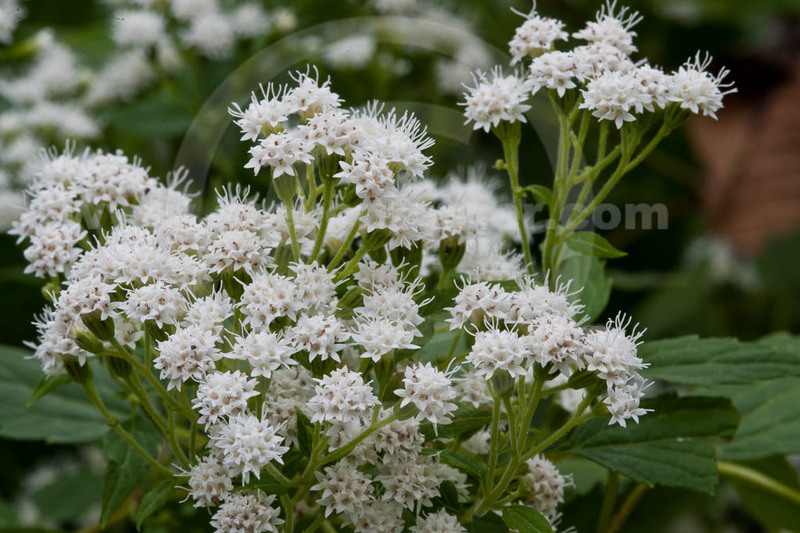 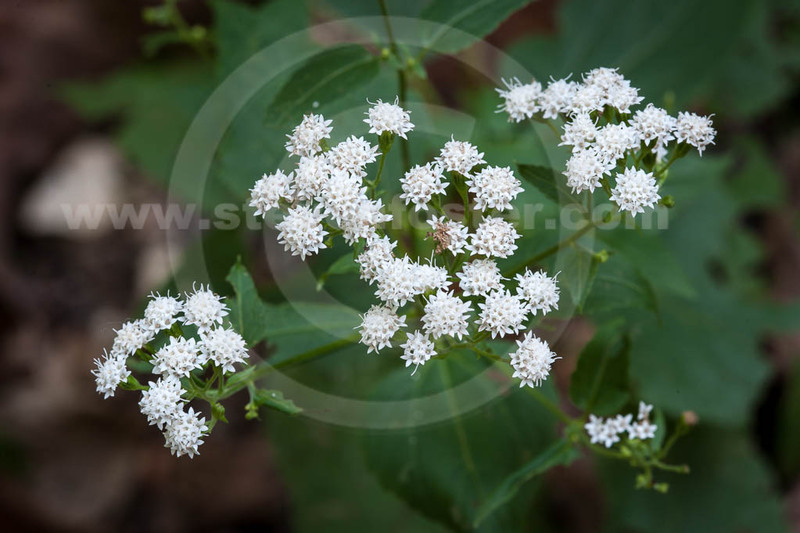 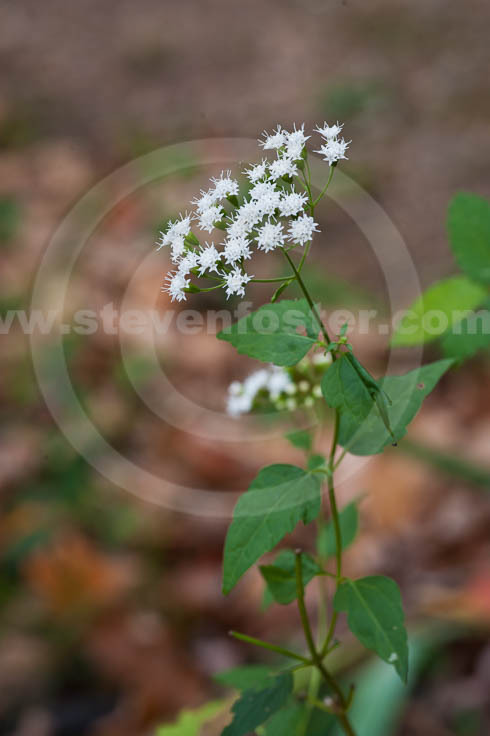 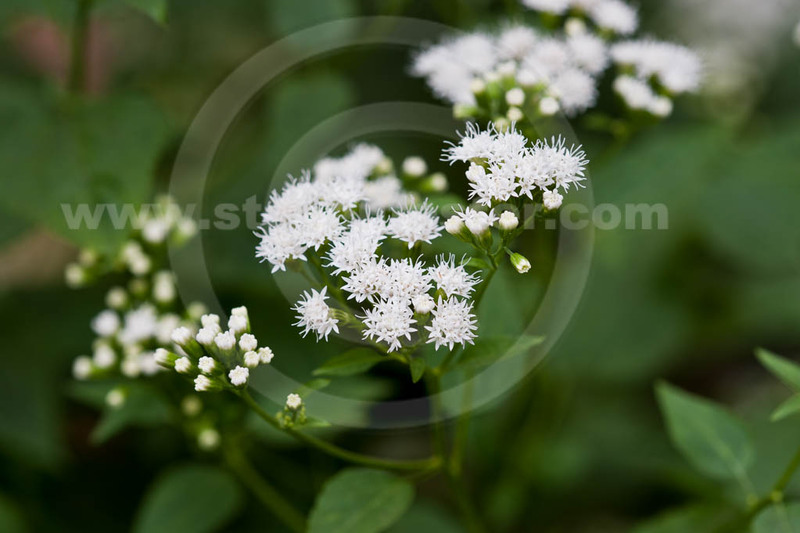 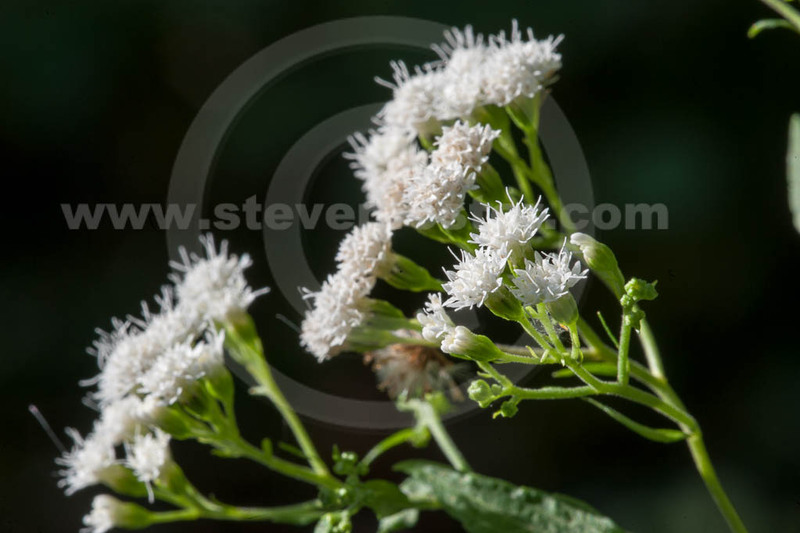 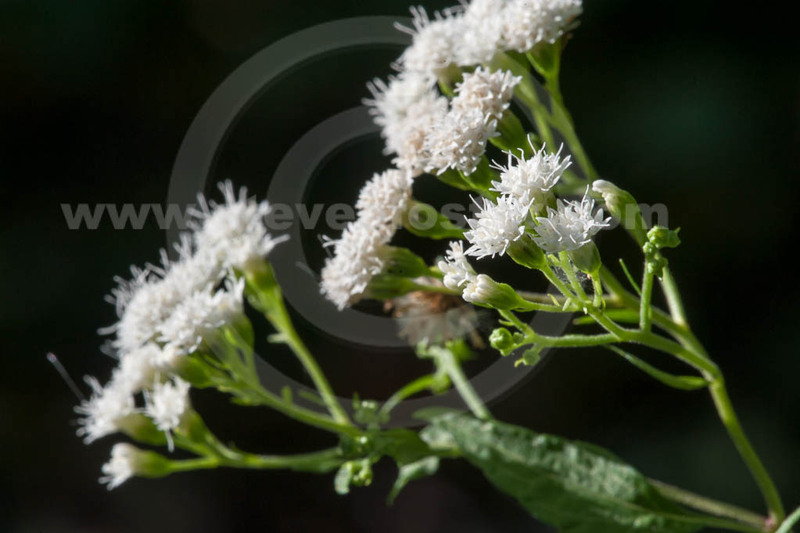 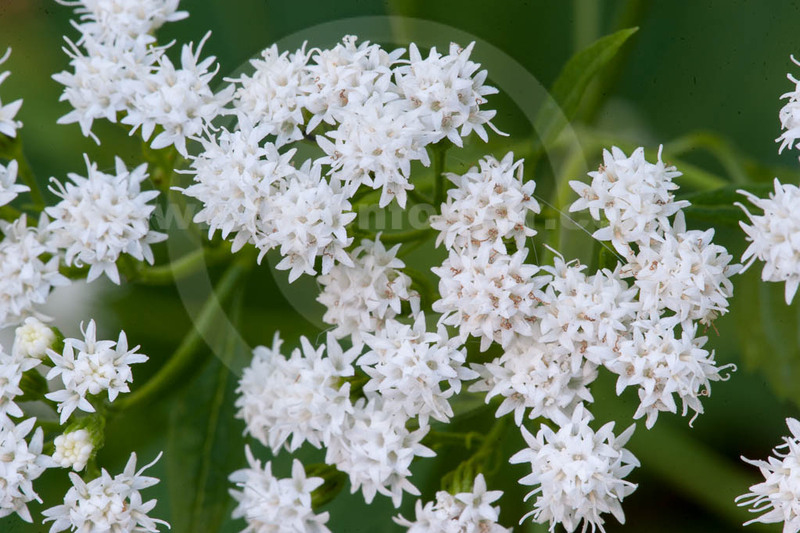 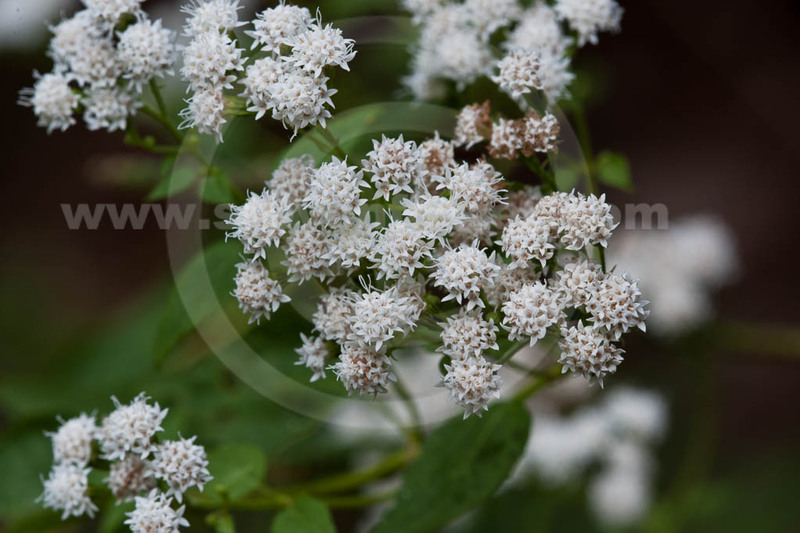 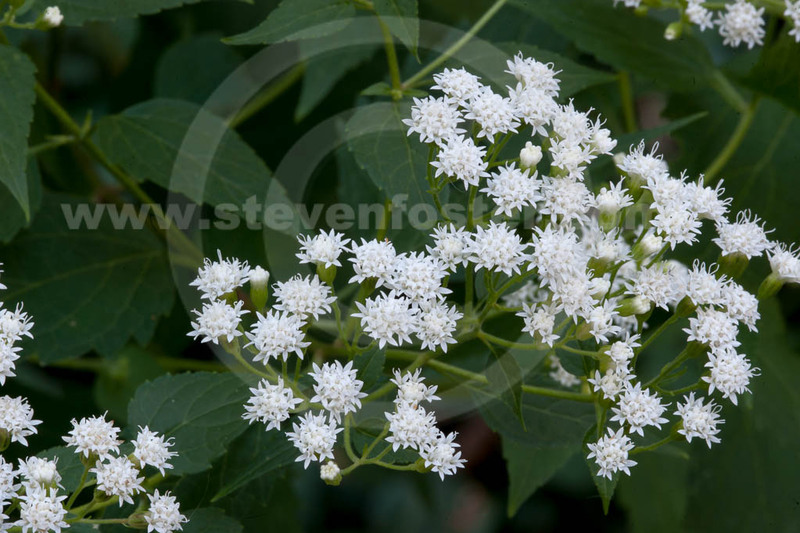 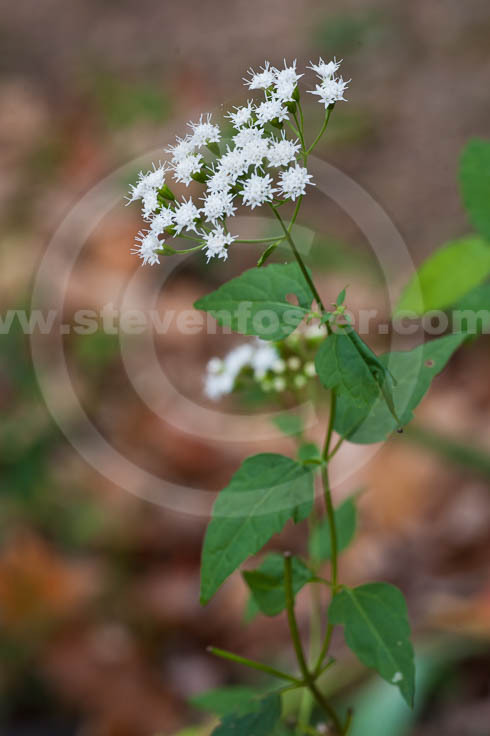 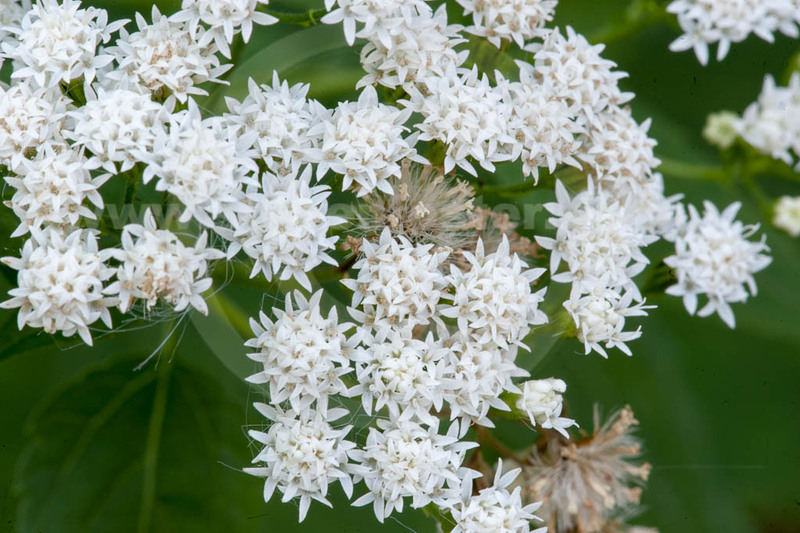 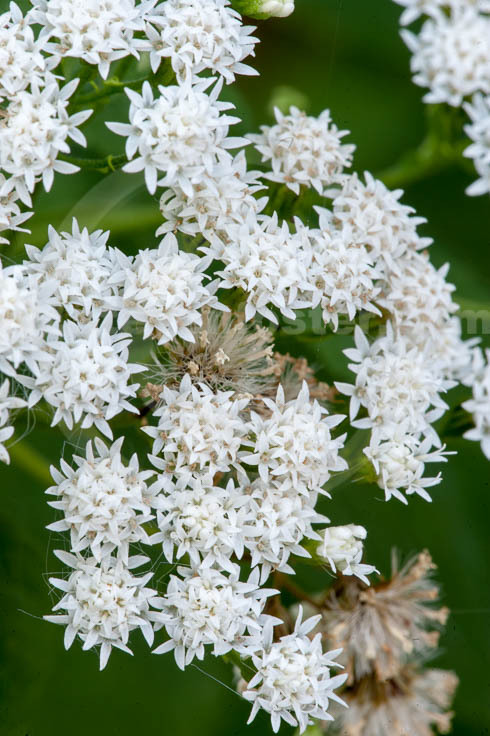 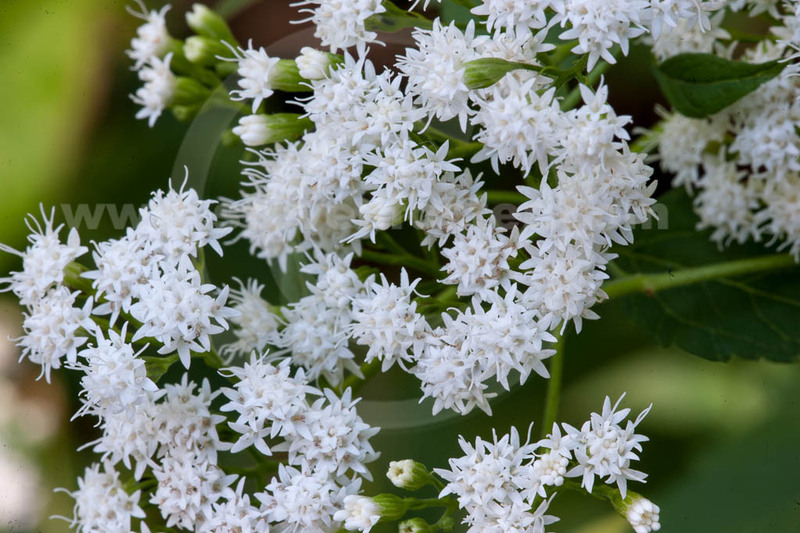 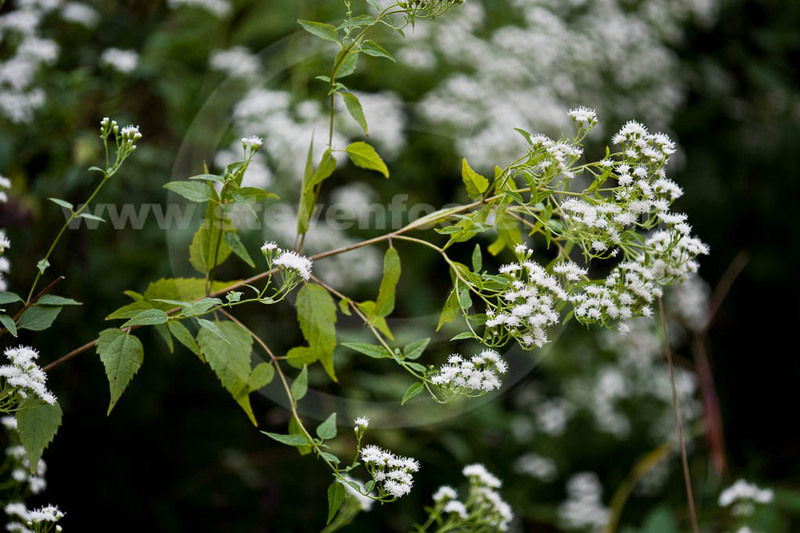 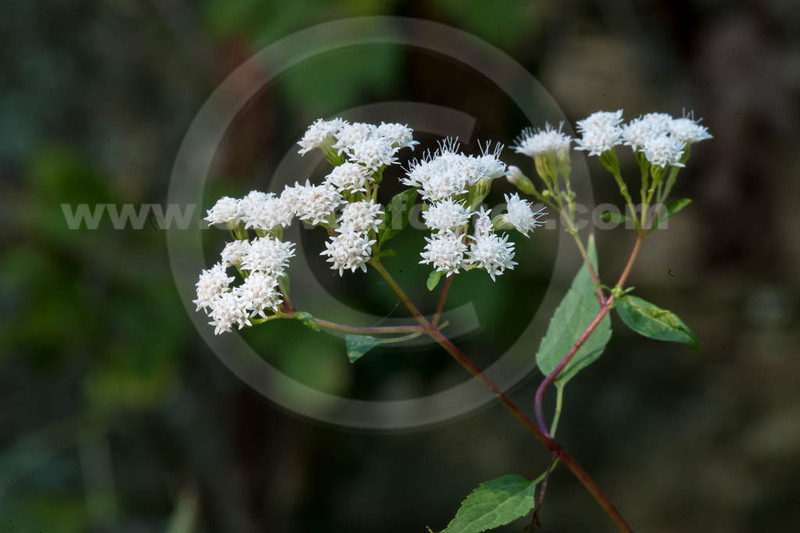 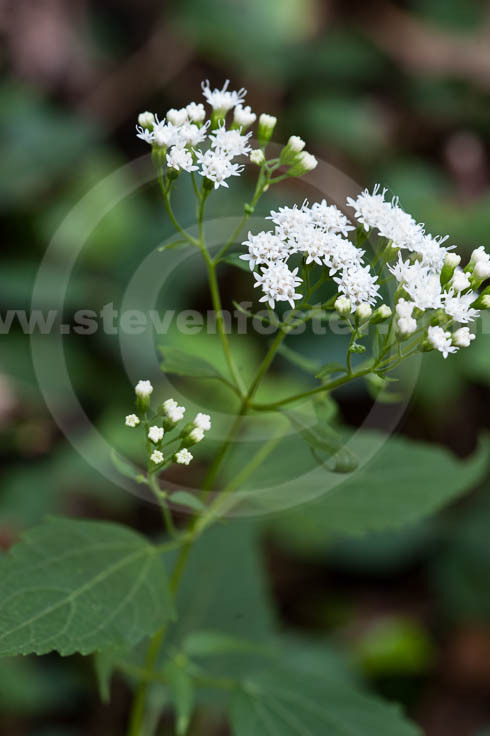 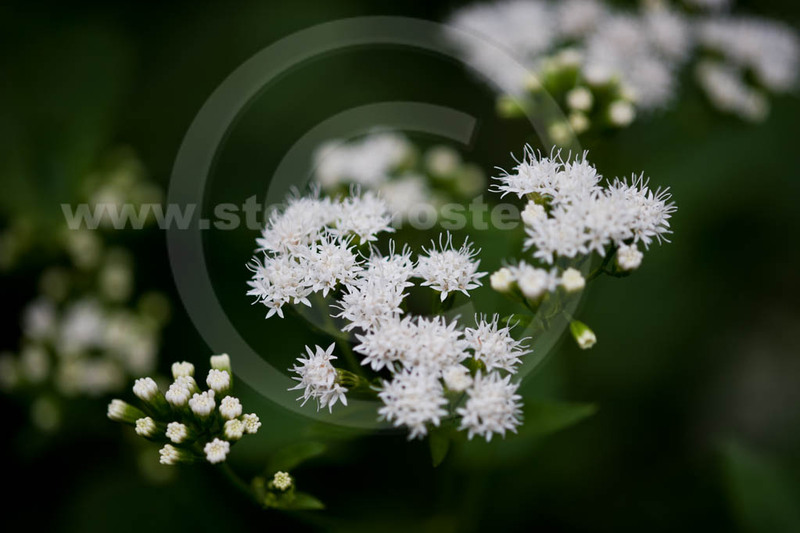 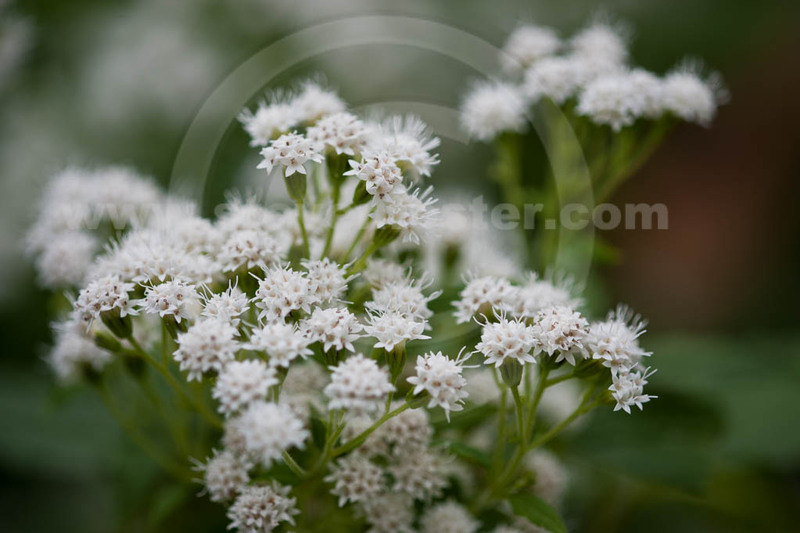 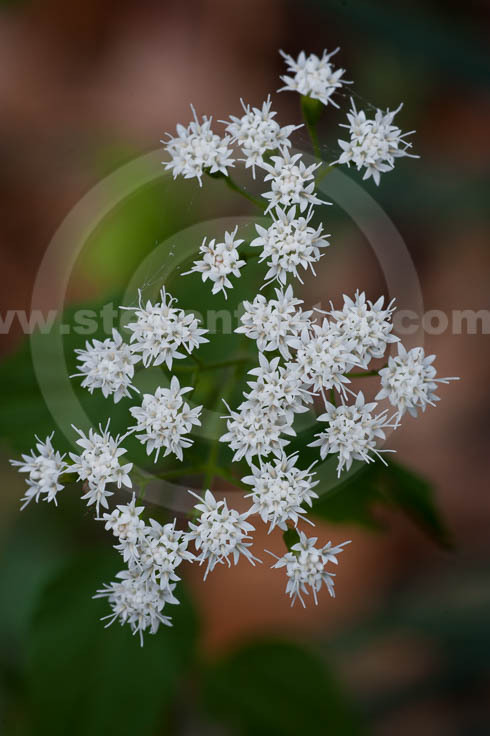 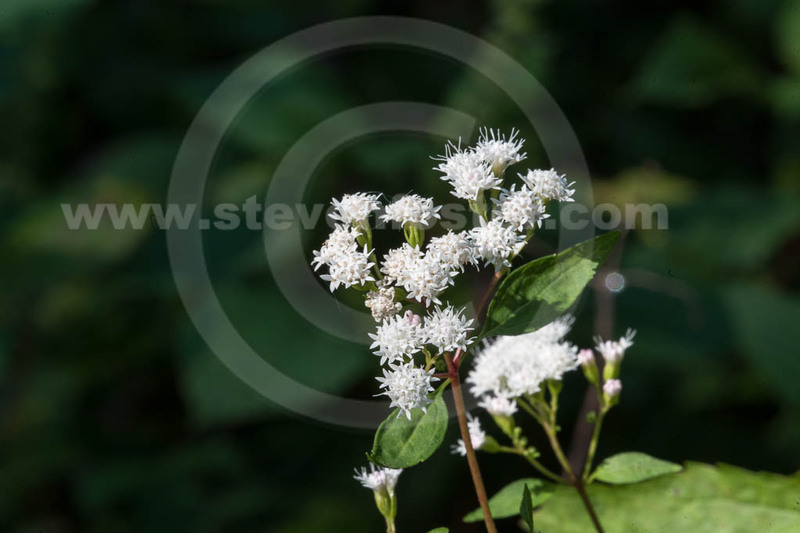 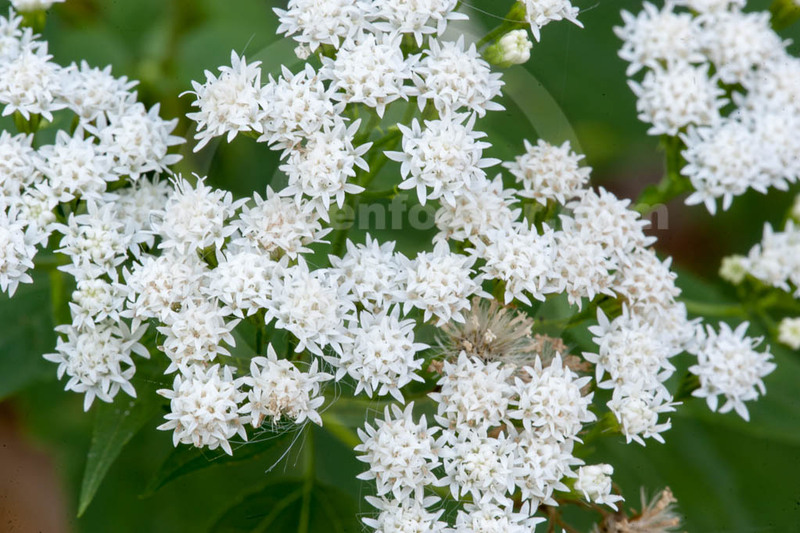 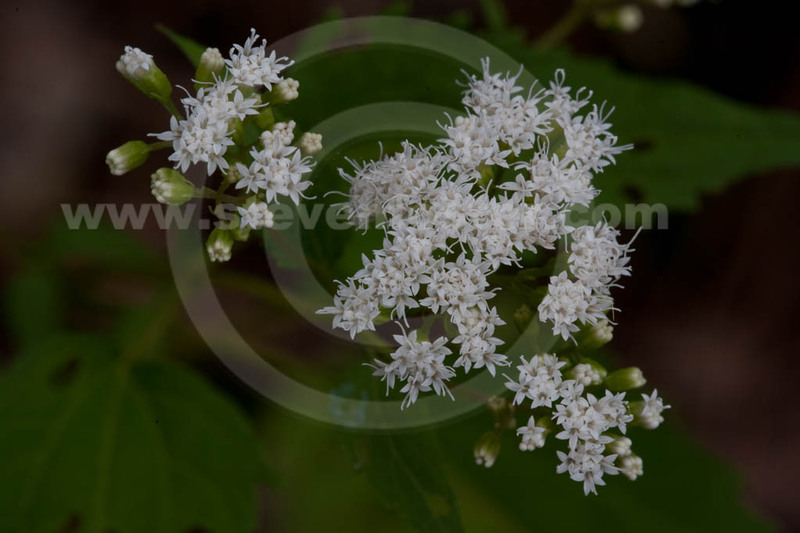 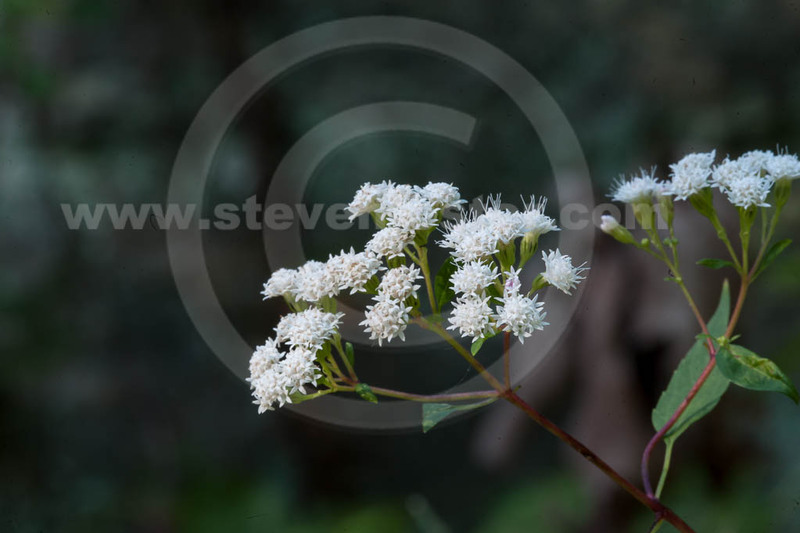 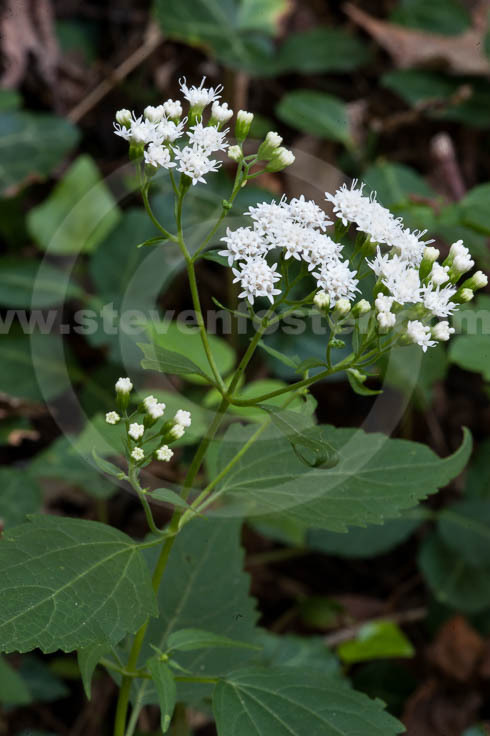 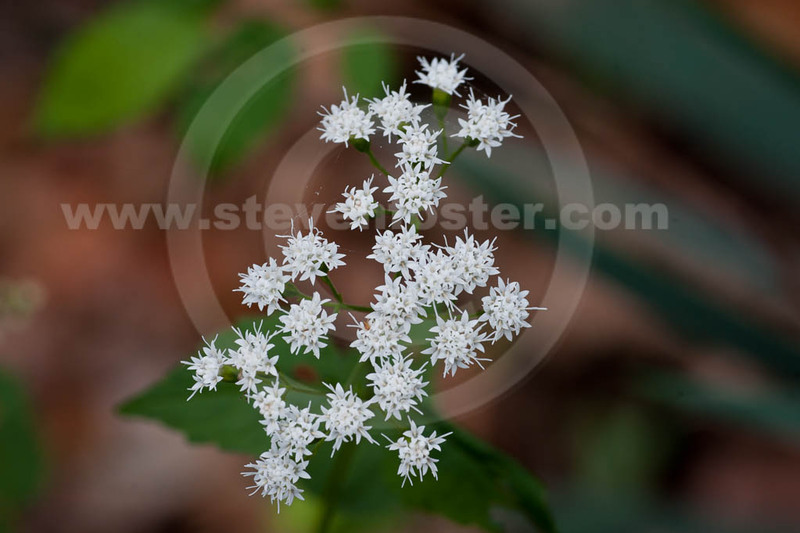 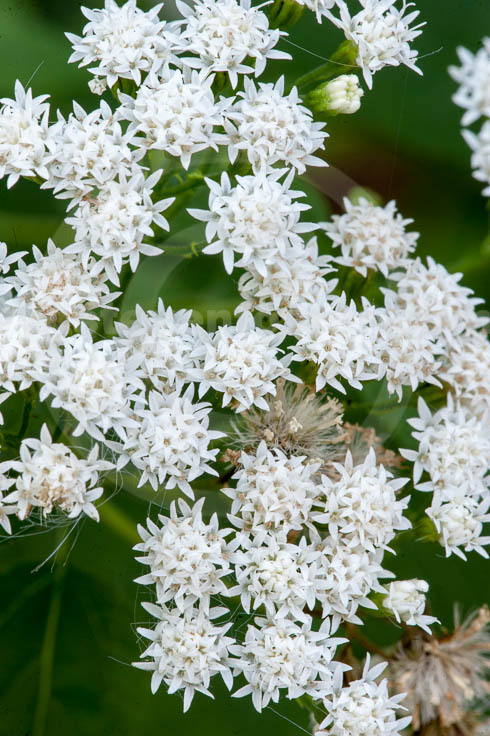 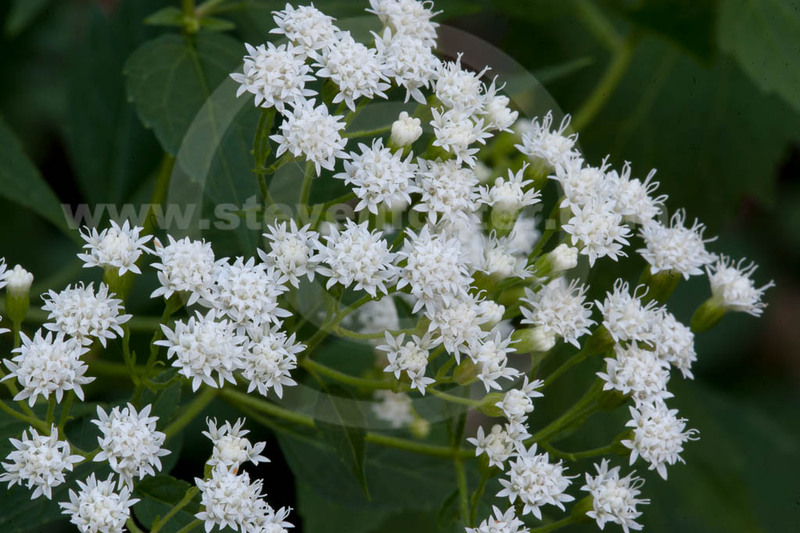 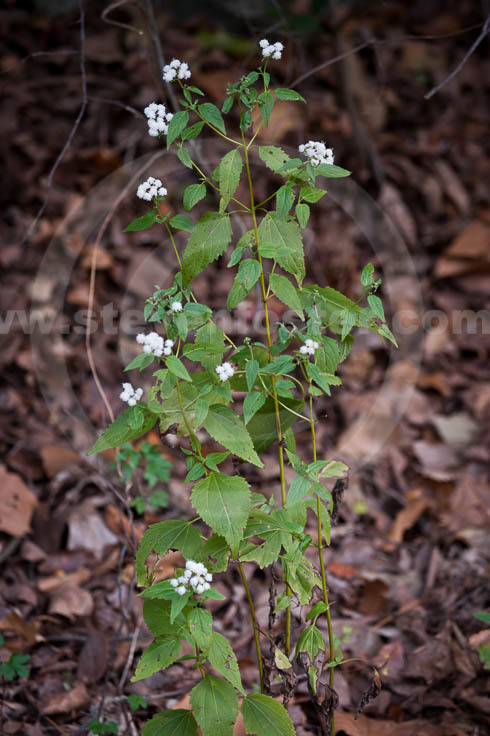 Photos of Ageratina altissima (Eupatorium rugosum), White Snakeroot, Milk Poison Plant. 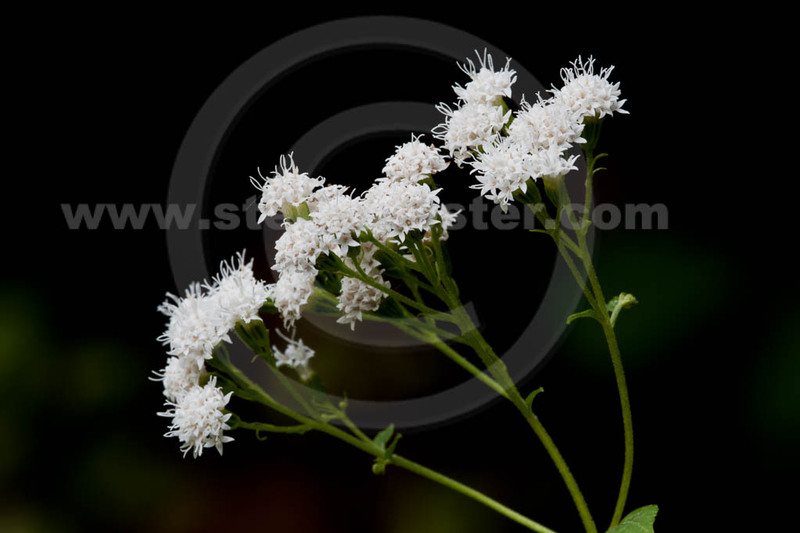 Ageratina altissima, Eupatorium rugosum, Ageratum altissimum, White Snakeroot, Milk Poison Plant is responsible for milk sickness due to the presence of the toxic compound tremetol. 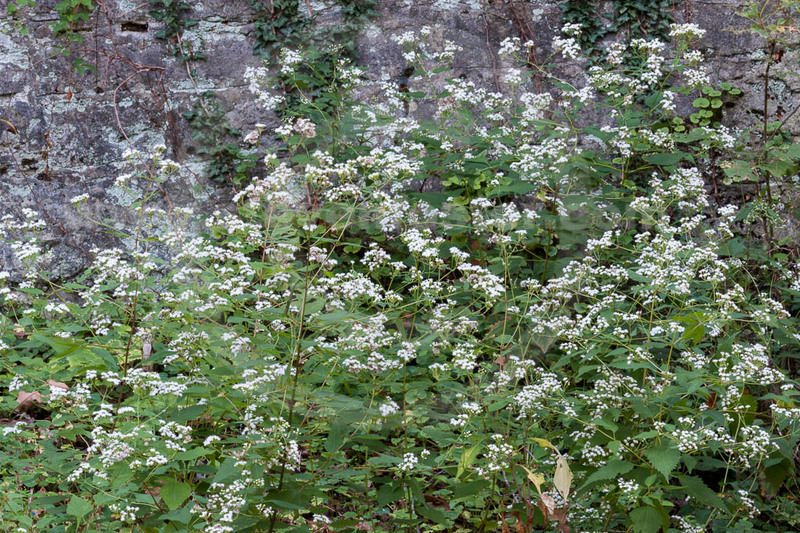 When cows graze on the fresh plant, the toxin is transferred to milk, butter and meat can cause milk sickness—a nervous system condition, often leading to death. 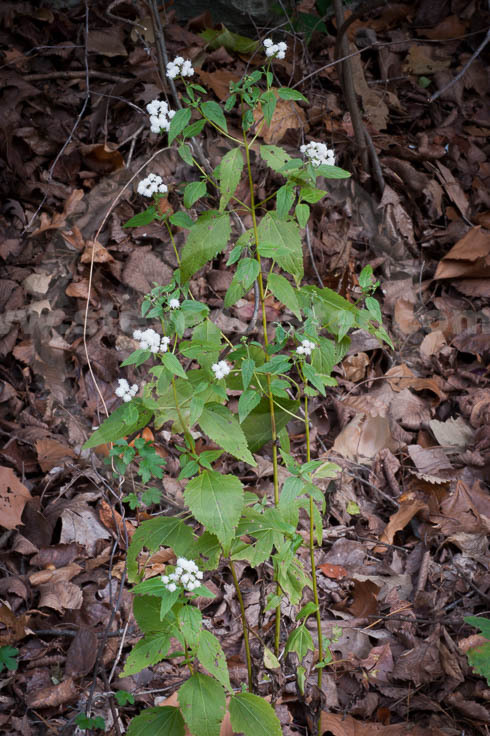 The most famous victim was Abraham Lincoln's mother, who died of the disease when Lincoln was a child.